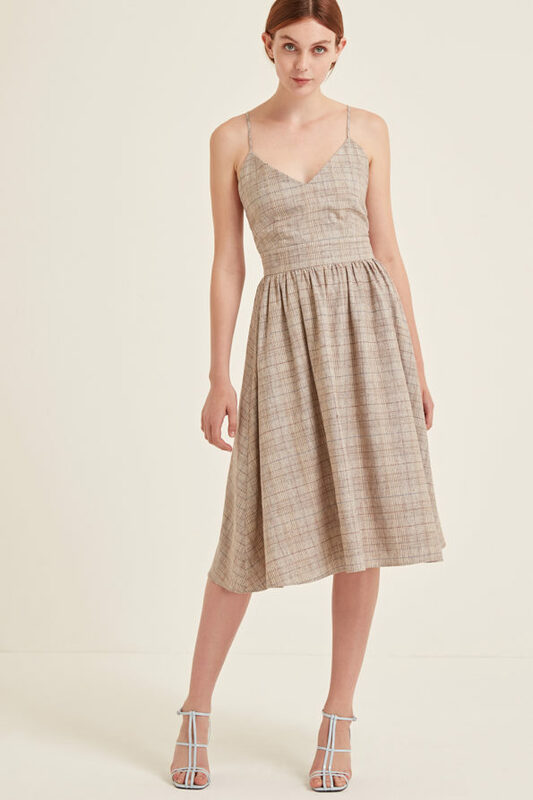 Kamila Dress comes in a comfortable linen/cotton mix fabric and has an open back. The ties on the back of the dress can be adjusted and worn in several different ways. This is a great outfit for both – day and night. Developed and made in the UK.